Surgeons in Portugal were faced with a difficult and delicate surgery. They must remove a 5-year-old boy’s neuroblastoma tumor without accidentally slicing adjacent arteries. After two failed attempts, they decided to take a different approach. The team, led by Dr. Jaume Mora, went to the Polytechnic University of Catalonia to recreate the tumor and surrounding tissue using 3D-printing. Using the individualized replica, the surgeons practiced removing the tumor before they tried the actual procedure again. In addition to the 3D-printed tumor, the surgeons also had a replica of what the tissue without the tumor made. They studied this model to see what it should look like after the tumor was removed. As a result, the next surgery was a success. The patient’s tumor was removed and is expected to fully recover. The surgeons predict that further surgery will not be necessary. 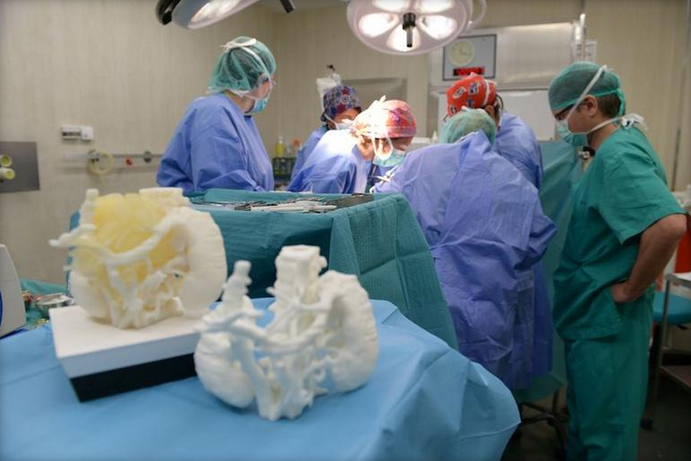 As a result of this success, the surgeons decided to commission similar 3D-printed models for two more surgical patients.